This work proposes an approach for predicting the error rate of applications implemented in multi/many-core processors. The prediction is based on the intrinsic sensitivity of the device and the soft error-rate of the application. This approach applies the principles of Code Emulating Upset (CEU) method, which combines radiation experiments with software-Implemented fault-injection. CEU approach has been demonstrated to be very effective for mono-core processors. However, advanced devices such as many-core processor implement complex architectures regarding memory hierarchy and communications. For this reason, an extension of the CEU technique is required to face these new features. In this chapter are explored three devices with different technologies and architectures aiming at providing a general approach for SEE evaluation and error-rate prediction. The target devices are: the Freescale P2041, Epiphany E16G301 and MPPA-256 multi/many-core processors. Obtained results provide relevant information about how to select an appropriate device depending on the application and the operating environment. In addition, it can be seen a small underestimation of the error rate since not all sensitive areas of the device could be targeted during fault injection campaigns. Based on “Evaluating the SEE sensitivity of a 45nm SOI Multi-core Processor due to 14 MeV Neutrons”, by P. Ramos, V. Vargas, M. Baylac, F. Villa, S. Rey, J.A. Clemente, N.E. Zergainoh, J.F. Méhaut, and R. Velazco which published in IEEE Trans. Nucl. Sci., vol. 63, pp. 2193–2200, Aug. 2016. 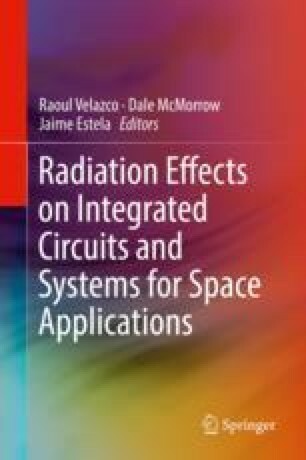 Based on “Radiation experiments on a 28 nm single-chip many-core processor and SEU error-rate prediction”, by V. Vargas, P. Ramos, V. Ray, C. Jallier, R. Stevens, B. D. D. Dinechin, M. Baylac, F. Villa, S. Rey, N. E. Zergainoh, J. F. Méhaut, and R. Velazco which published in IEEE Trans. Nucl. Sci., vol. 64, pp. 483–490, Jan 2017. Based on “SEE error-rate evaluation of an application implemented in COTS Multi/Many-core processors” , by P. Ramos, V. Vargas, M. Baylac, N. E. Zergainoh and R. Velazco which published in IEEE Trans. Nucl. Sci., vol. 65, pp. 1879–1886, Ago 2018. This work was supported in a part by the Universidad de las Fuerzas Armadas ESPE and by the Secretaría de Educación Superior, Ciencia, Tecnología e Innovación del Ecuador (SENESCYT), through the grant PIC-2017-EXT-005 and STIC-AmSud (Science et Technologie de l’Information et de la Communication en Amerique du Sud) – Energy-aware Scheduling and Fault Tolerance Techniques for the Exascale Era (EnergySFE) Project PIC-16-ESPE-STIC-001.